Capocavallo is located at the feet of the Lepini and Ausoni mountains, in the middle of the Agro Pontino, near the seaside, 80 km from Rome and 120 Km from Naples. 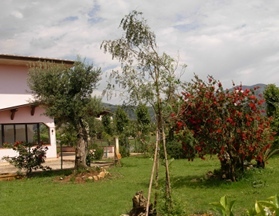 The Agriturismo has been completely renovated and equipped with the necessary facilities to provide a good stay for all our guests. The rooms (7) are equipped with bathroom, TV and air conditioning. The ideal place to relax and enjoy healthy walking or cycling. The land is cultivated with olive trees, vegetables such as asparagus, tomatoes and salad. There are also many farm animals such as horses, donkeys, geese, rabbits, chickens. 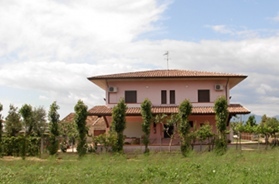 Catering is available just a few meters away from the Agriturismo. You will find Capocavallo Pizzeria and Restaurant where you can delight your palate with appetizers accompanied by tasty and warm focaccia and taste the local dishes such as buffalo or goat stew and bread soup with vegetables.